Loved reading this book, now I find myself looking at what fonts are being used around the place and trying to decide which ones I like. My other distraction this week is learning to knit a sock on a circular needle. 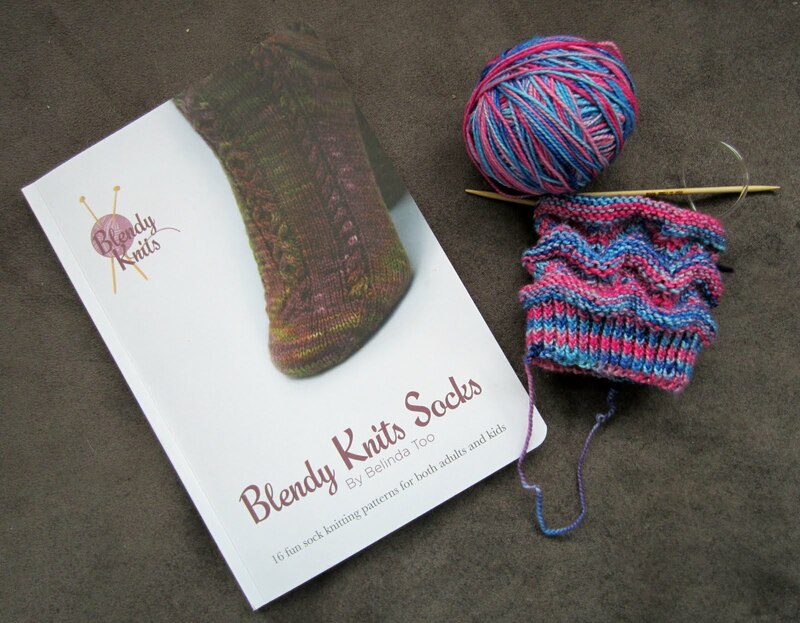 I bought a kit from Blendy Knits It's easier than using 4 needles but I'm finding that the cable length is a bit short for me. The yarn is "Beatrice" from Knitsch Yarns and the pattern is "Easy Chevron Socks" from the book provided in the kit.